Software to instantly capture the ideas. 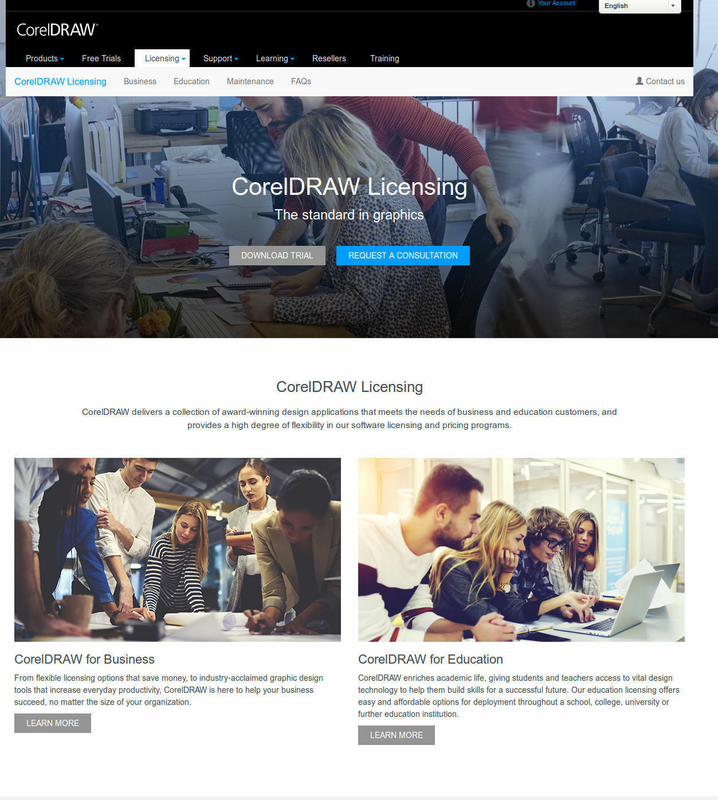 How much does CorelDraw cost ? 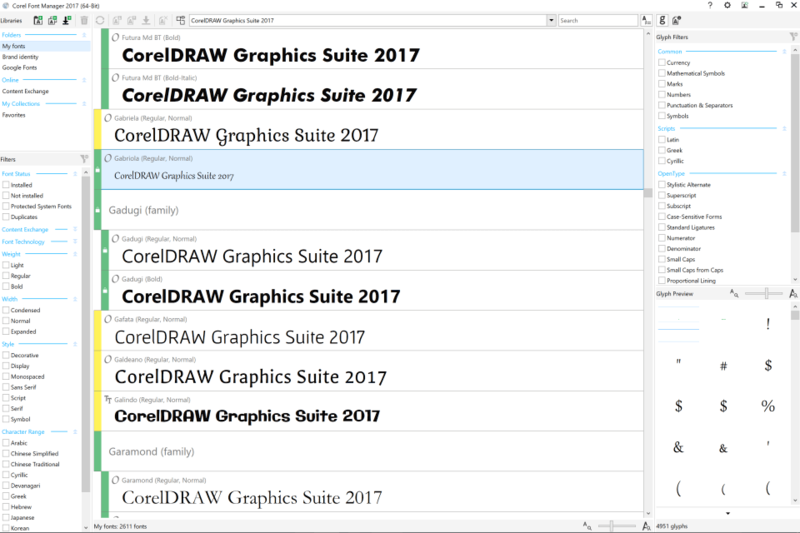 CorelDraw provides a custom pricing for their software. Please Contact the Vendor for Detailed Pricing. it's quick and easy. able to manipulate photos well. not as versatile as i wanted. would like to be able to resize easily. try it out, you will enjoy using it. "Buen software, aunque algo por debajo del paquete Adobe"
Su principal ventaja y en la que destaca es que estamos ante un software con funciones vectoriales. No sólo tenemos la posibilidad de editar imágenes, si no de realizar un diseño completo sin tener que acudir a otro software (cómo puede pasar con Photoshop e illustrator). Precio algo elevado aunque aceptable. El entorno de diseño no es tan amigable como en otros software del mismo estilo. Puede ser complejo de aprender y no tan vistoso para usuarios menos expertos. Se echan en falta más actualizaciones. 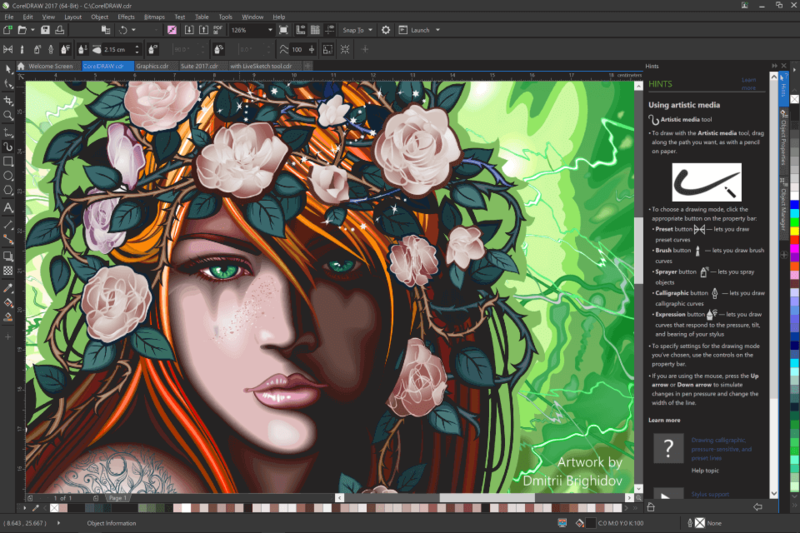 Lo recomiendo, junto a Illustrator de Adobe son los dos grandes de este sector. Quizás algo de difícil el manejo al principio, pero te acabas acostumbrado. El precio algo elevado, pero en la línea de este tipo de programas. Lo recomiendo en cualquier caso. Sin duda alguna cómo comentaba más arriba el dinero vectorial. Con CorelDraw lo tienes todo en el mismo software, edición y vectorial. Para el diseño de logotipos y cartelería nos vino perfecto. El logo de nuestra empresa está realizado con Corel. CorelDRAW is one of the well-proven graphics packages. CorelDRAW is constantly improving and it really has all the necessary tools to create design projects. 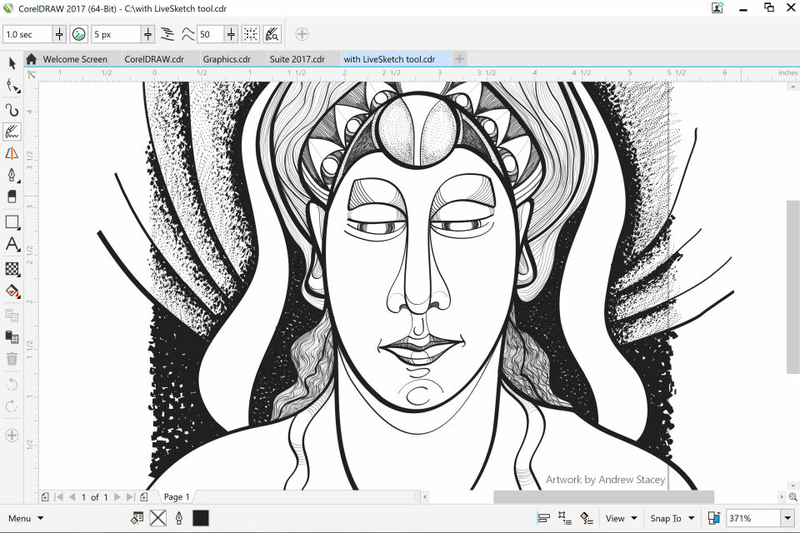 CorelDRAW allows you to work with vector graphics, photos, drawings, text... Working with colors and palette is very convenient. And when you know exactly the purpose of the functions and how to use them you will easily reach a very professional result. For me, it wasn't absolutely clear at first why some tools are created and how to use them. For stable work in this program, it is better to have a powerful computer. Otherwise, you may experience great inconvenience. CorelDRAW is not an appropriate tool for engineerings drawings. There are a lot of tools more suitable for these needs. To achieve a better result, I would advise completing the initial training courses for working with CorelDRAW. 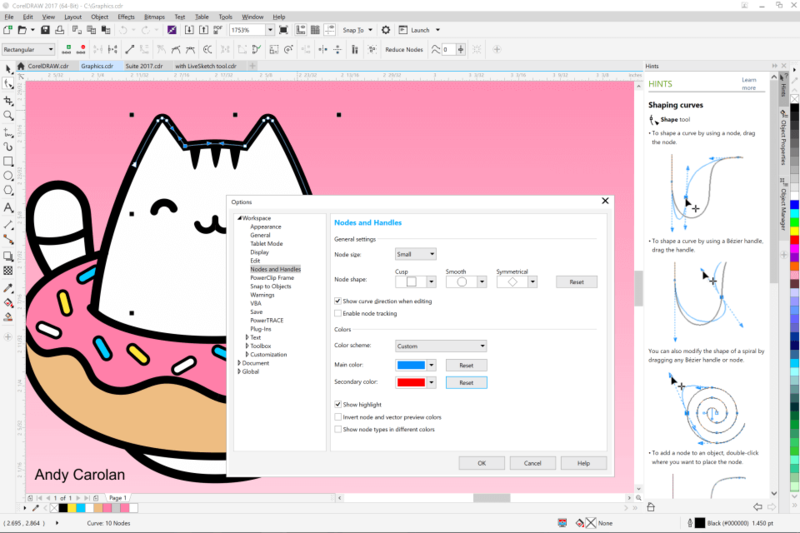 "CorelDRAW is the graphic design solution for you"
What I like with CorelDRAW is for its vector graphics editor which is made for users to create logos that are useable on various images and items, such as posters, logos, and business cards. Vectors are graphics primitives e.g lines, shape and lines in geometry which is usefully used when drawing different designs of shapes, Thank you, Michael, for coming up with the idea. Design and Creating Logo for companies. "CorelDraw User Since 1993 from V3 to Current"
I love that I can design anything exactly the way want it. I have been using it since version 3 and it's now on version 18. I have kept up with all the changes and love using all the different functions. It's been around long enough to have a strong user base for online forum help. It uses a great deal of memory. Every once in awhile it crashes. I would highly recommend CorelDraw to anyone that is wanting to excel in graphic design. I create every kind of thing with it including books, t-shirt designs, logos, posters, fliers, business cards, promotional post cards, icons, web page graphics, photo editing. Con CorelDraw tienes que usar muchas combinaciones y capas logrando que aveces se distorsione alguna modificación, esto hace que puedes perder ediciones al no guardar y enlazar correctamente cada edición por de formulas. CorelDraw es de fácil manejo, tendrás buenos resultados para realizar y crear buenos diseños vectoriales, de forma exacta. Funciona para obtener buenas diseños para tu empresa o algunos inmobiliarios, proyecto, productos o servicios que deseas proyectar de forma exacta en cuanto a medidas se trata. Lo recomiendo para cualquier tipo de trabajo que deseas realizar. the pre-design colour in the software one can use to colour shape. One needs to have knowledge of the software before one can enjoy all the feature. the environment is not friendly. With CorelDRAW your graphics work is easy. it has helped to create designs for schools. "CorelDraw is very nice and okay for graphics Design "
With CorelDraw I used to design beautiful logos with fit to text effects which gives me maximum control over my text to be placed on any part of a log while getting a perfect fit. CorelDraw also is good to design graphics such as calendars with auto insert without having to type dates one after the other.
" the best editing program"
what I like the least is that it becomes unstable when working with large files and if you use a lot of zoom and the computer becomes a bit slow because it uses a lot of resources. The main problem solved thanks to corel is to be able to have this tool to be able to create diverse digital resources, either informative or of any other nature.